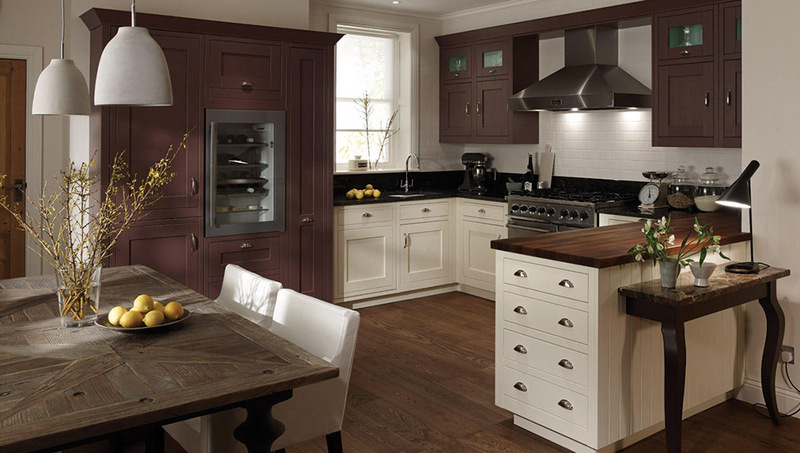 This door is a framed version of out popular Milbourne Kitchen. 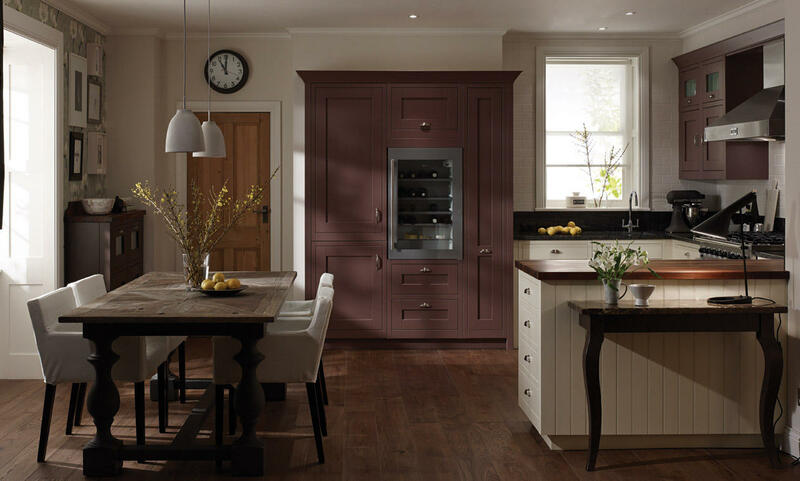 Add colour and personality by choosing from our palette of 24 colours. Clear glass wall units are mixed with granite and timber worktops. 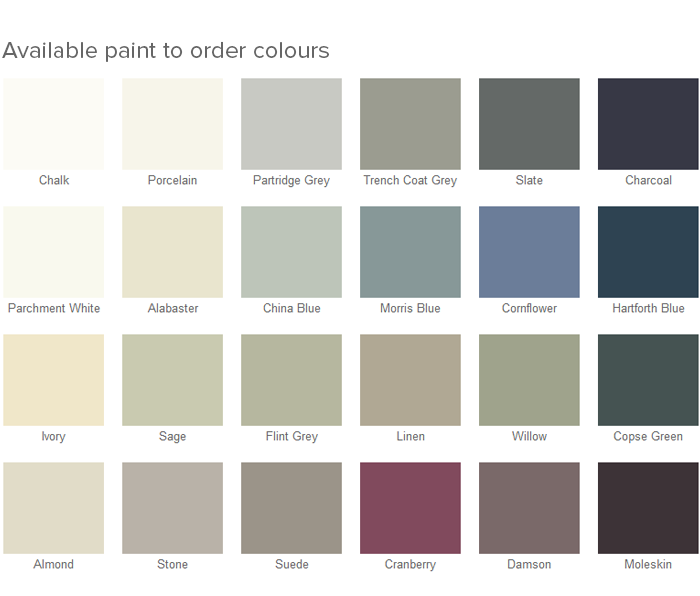 Available in 24 colours from, our classic palette.